This was a pretty good read. The basic story is Tanner has been working on the Three Bar C ranch for three years. 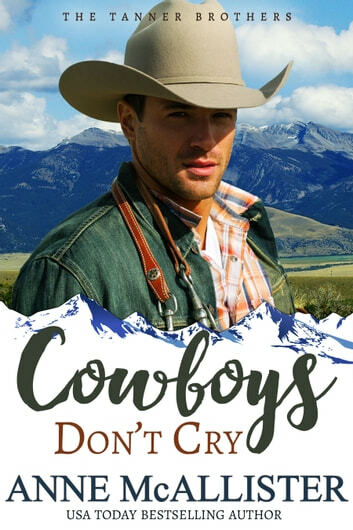 When the owner passes away it appears it was inherited by city girl Maggie MacLeod, who decides she wants to run the ranch and it's Tanner's job to help her learn the ropes. They are immediately attracted to each other but Tanner doesn't do relationships. Ever. Marriage is something he's done once and will never do again and Maggie is definitely the marrying kind. The book is well written but I thought Tanner was a tough character to warm up to. In order to protect himself he comes off as a bit of a jerk. Maggie is so persistent though and very likeable. This was a great lazy afternoon read though so I would recommend it. Tanner's a free spirit who doesn't believe in relationships. He's been working on the 3 Bar C ranch for Abigail Crum, as her foreman. Abigail, 84 years old, wanted to leave the ranch to him, but he declined. She ended up leaving it to a someone Tanner doesn't know. Maggie, a schoolmarm, inherited the 3 Bar C. She's thrilled to inherit the ranch and have a home and income for herself and her two brothers. Tanner isn't happy about her decision to live on the ranch, or his attraction to Maggie... Clashing personalities and resisting the romance between Tanner and Maggie, make for a lively read. However, felt Tanner's stubbornness and animosity towards Maggie was overplayed; Maggie took his harsh treatment somewhat meekly. Other than that, the story was well written and the other characters warm and lively! A standalone read. 3 1/2 stars. I liked this sweet western romance.